I read this article and found it very interesting, thought it might be something for you. The article is called A Land of Extremes: Iceland’s top destinations and is located at https://www.ebookers.com/travel-blog/adventure/icelands-top-destinations/. Black-sand beaches dotted with shimmering blue ice formations resembling gemstones, white rapids gushing down majestic black lava columns and rivers inhabited by mythical sea monsters – the Land of Fire and Ice has it all. 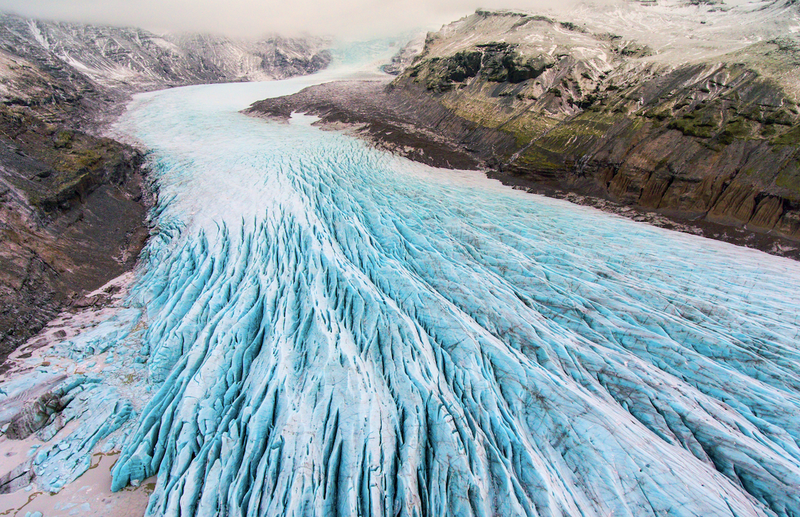 There’s an end-of-the-world feel found in the glaciers and geysers in this land of extremes, where each region offers a different sort of heart-pumping adventure. 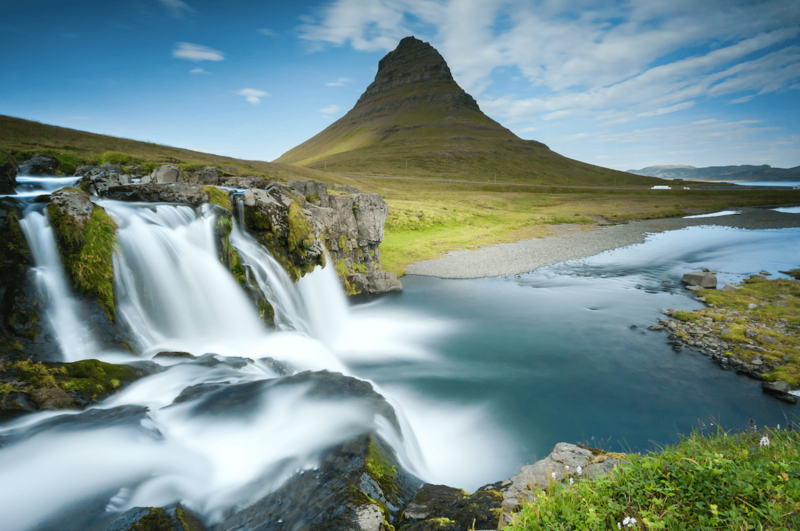 Here are six of Iceland’s top destinations. Pack a rain jacket and hiking boots for this 300km loop from Reykjavík to the centre of Iceland and back. 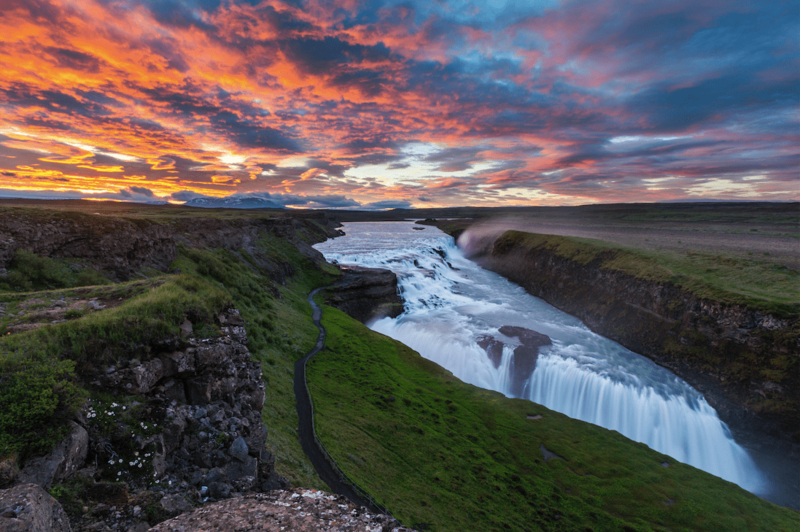 The popular “Golden Circle” route ticks off all the geographical must-sees for first-timers to Iceland and can be done as a day trip. There are three main stops, with numerous natural hot springs along the loop. First up, Thingvellir National Park straddles the North American and European tectonic plates and its clear waters are wonderful for snorkelling during summer. Next are Geysir and Strokkur geysers, the latter being an active geyser that spouts water every 10 minutes and reaches over 15 meters in the air. Finally, there’s the expansive, magnificent Gullfoss Waterfall, with panoramic viewing points from above the falls. 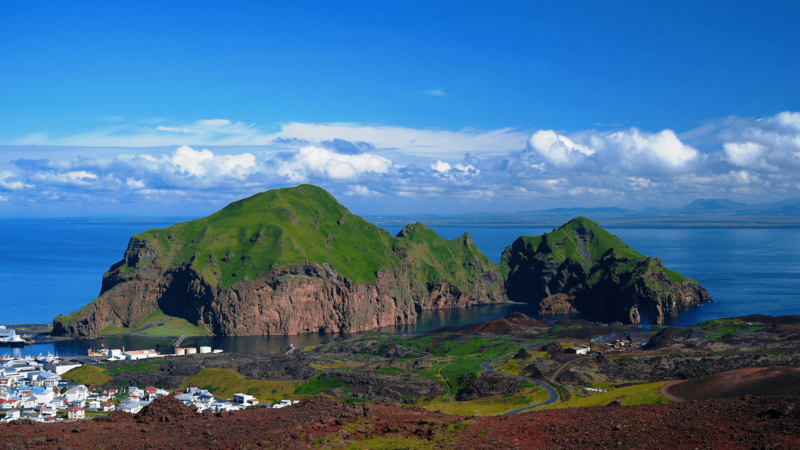 A quick ferry ride from Thorlakshofn, on Iceland’s south coast, lies the less-traversed Westman Islands. Only the main island, Heimaey, is inhabited, the first inhabitants being Irish slaves, or “Westmen”, fleeing captivity. But its claim to fame is the massive 1973 earthquake and Eldfell Volcano’s eruption, which is hauntingly documented at the Eldhemer Volcano Museum, a museum built around a family’s home that was overrun with lava. On a happier note, Westman is also home to the world’s largest population of nesting puffins. The cuddly orange-beaked birds come in the hundreds during summer and boat tours are an excellent way to get up close to the burrows. The Eastfjords is a bastion of untamed wilderness – only about 3 percent of Iceland’s population live on this 120km stretch of black-sand coastline. Stop at Seyðisfjörður, a charming seaside town with colourful homes inhabited by artists, musicians and creative types; scenes from The Secret Life of Walter Mitty were filmed here. Head east to Skálanes, a nature reserve with old farmsteads set amidst towering cliffs that accommodate visitors. Or camp at Atlavík by the Lagarfljót River but beware of the Lagarfljót worm, a river monster from Icelandic folklore. The Eastfjords is also home to Iceland’s largest rock museum (not the musical genre). Petra’s Stone Collection is a quirky museum exhibiting a local woman’s extensive collection of stones of all shapes, colours and sizes. A two-hour drive from Reykjavík, the Snæfellsnes Peninsula on Iceland’s west coast boasts many otherworldly wonders. Start with Arnarstapi and Hellnar, two traditional fishing villages hugged by craggy basalt columns. Then make your way to Rauðfeldsgjá Gorge, where, during summer, it’s possible to descend inside a crack in the mountain to a hidden waterfall. Not for the faint-hearted is Gullborgarhellir, a lava tube cave that can only be explored with a guide. Further north, in the remote Westfjords, Rauðasandur’s brilliant-hued pink sand beach, formed by pulverised scallop shells, beckons, while the striking green slopes of Hornstrandir Nature Reserve is a perfect vantage point to spot Arctic foxes, seals and orcas. Make time to visit Dynjandi, a series of waterfalls gushing down moss-covered black cliffs. Fluorescent blue glaciers resting on black-sand plateaus sounds like a page from a fairy tale, but such scenes can be found in Skaftafell Nature Reserve. 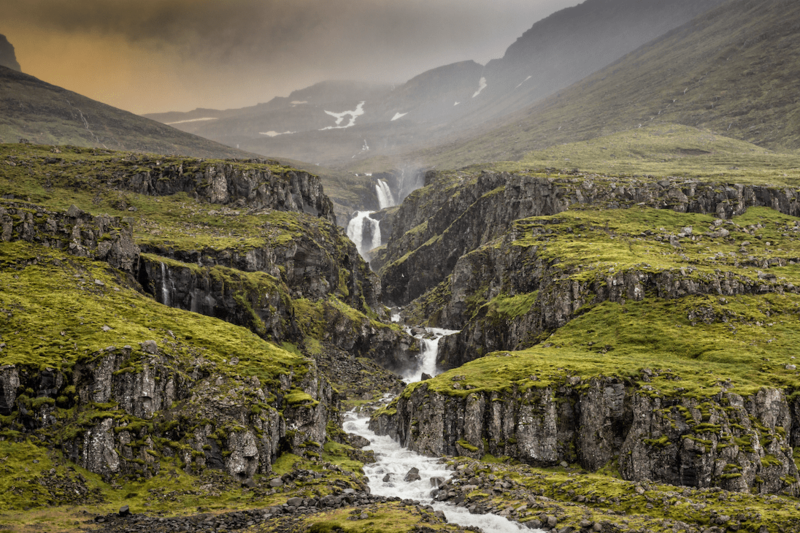 Established in 1967, this national park in Iceland’s south-east is a playground for nature lovers and includes Skaftafell Ice Cave and Svartifoss Waterfall, which is iconic for its dark lava columns. There are about 250 plant species and 30 bird species here, most of which can be found along the park’s numerous hiking trails that are suited for different levels; serious hikers can attempt Hvannadalshnjúkur, Iceland’s highest peak. Also in the south-east, Jökulsárlón Glacier Lagoon is well-visited, thanks to the James Bond movies filmed here, and it’s a stunning sight to behold. Translucent chunks of ice pierce through the lagoon like giant-sized diamonds, the result of glacial water that has been melting for centuries. The best way to get up close is on an inflatable boat and if you’re lucky, spot a seal resting on an iceberg. 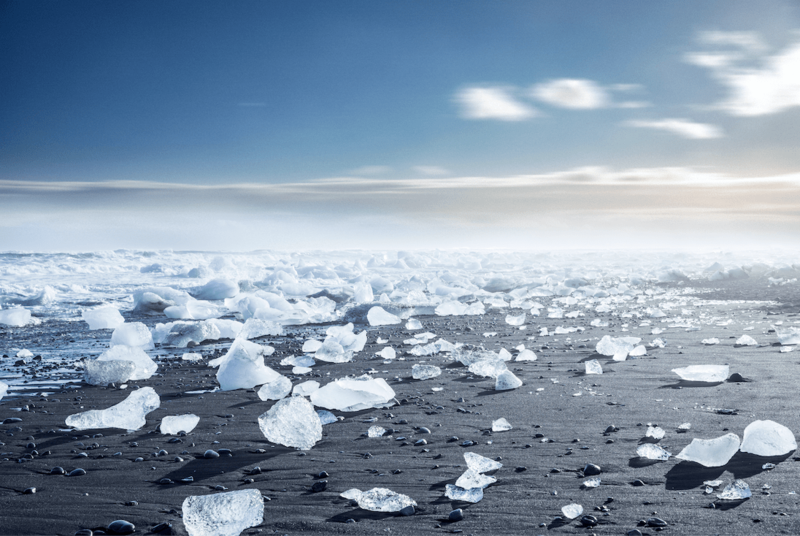 Check out nearby Breiðamerkursandur, or “Diamond Beach”, a black stretch of sand perpetually covered with glistening ice formations and catch the Northern Lights at the lagoon during winter.